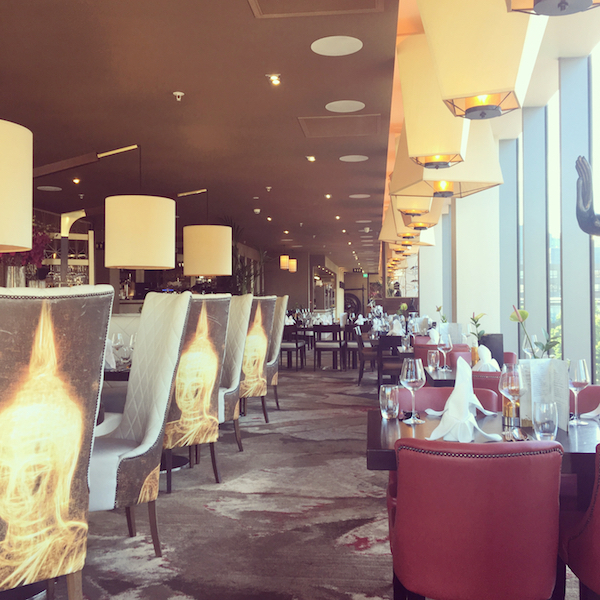 If you love Thai food, chances are, you’ll have already tried Chaophraya restaurant, located on the top floor of intu Eldon Square’s Grey’s Quarter. We visited when it first opened and after several failed attempts at a return visit (the restaurant seemed to be permanently fully booked during those first few months!) 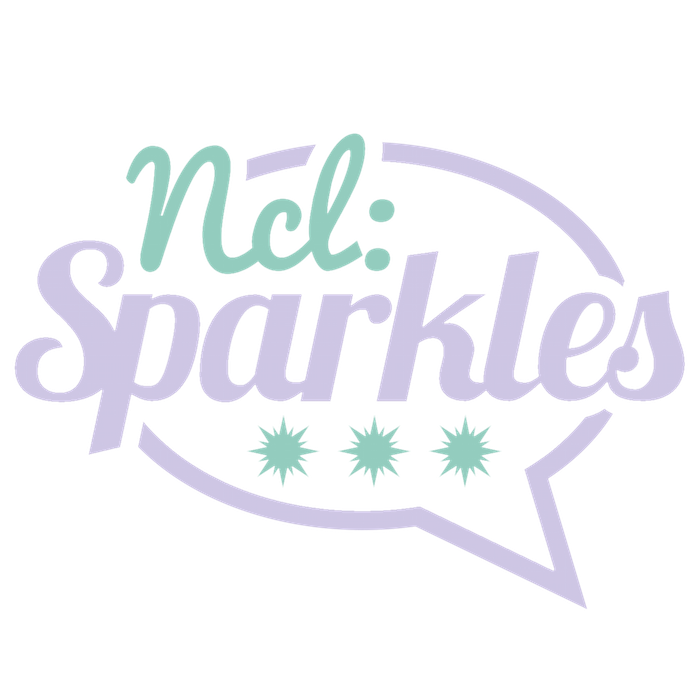 we were delighted to be invited back a few weeks ago. The rooftop location is a big draw. 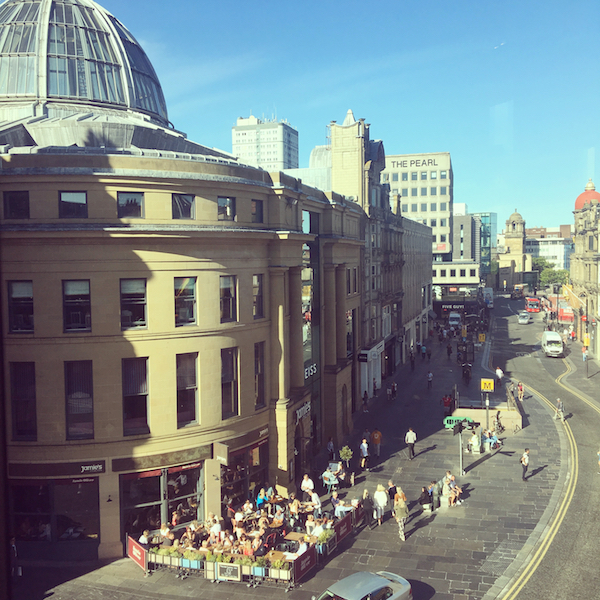 Boasting stunning views of the city centre – this is the perfect eatery for people watching while you dine. It overlooks Grey’s Monument and you can even admire the twinkly dome of The Botanist. It was a glorious sunny day when we visited and we just couldn’t stop looking out at the gorgeous blue skies. 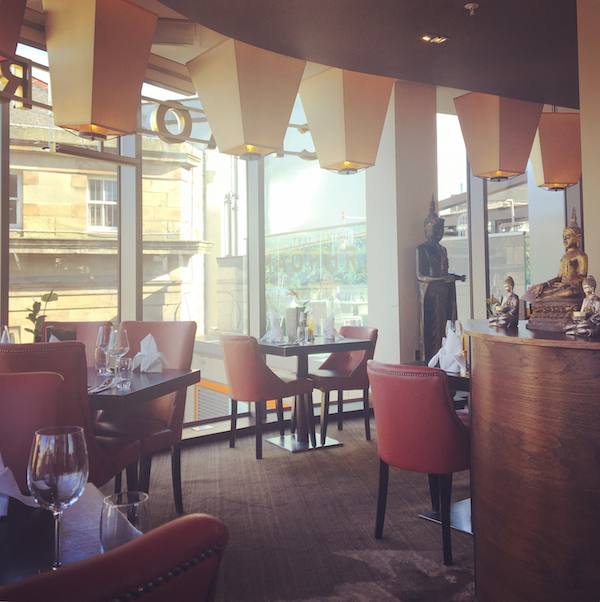 Inside, the décor is stylish, crisp and contemporary, with Buddha statues aplenty and lantern-style lighting throughout. It’s a swanky interior that gives the space those special occasion feels. 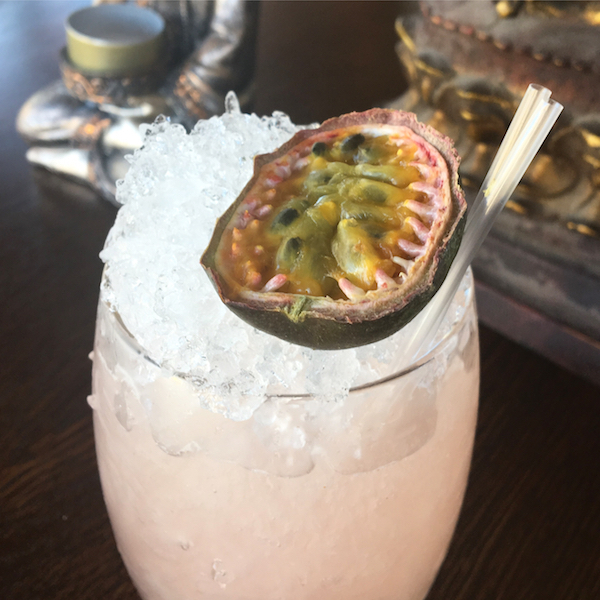 There’s also a plush outdoors terrace, but on our visit we stayed indoors, next to the floor to ceiling windows to soak up the city views, sip on our tropical cocktails and, more importantly, escape the high pollen count! The menu is an extensive one, with everything from soup and salad to rice and noodle dishes, as well as a decent curry, grill and steam, and stir-fry selection. 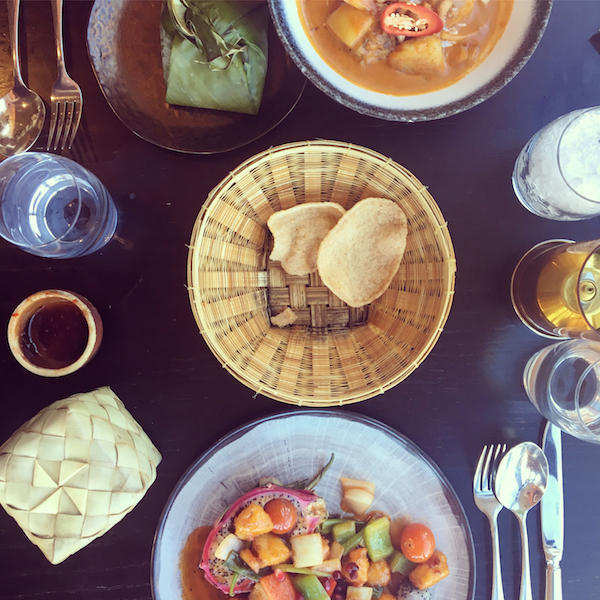 If you’re new to Thai dining or you’re just a fussy eater (or maybe both!) 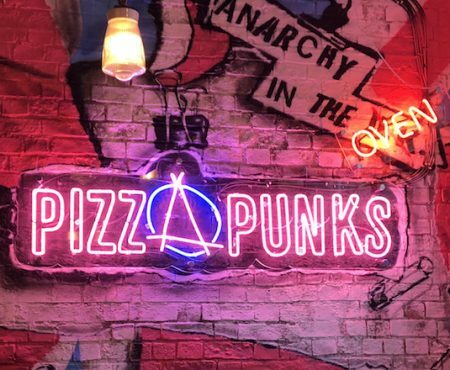 – there’s certain to be something on the menu to appeal, as the food amply showcases Western influences and European cooking methods. 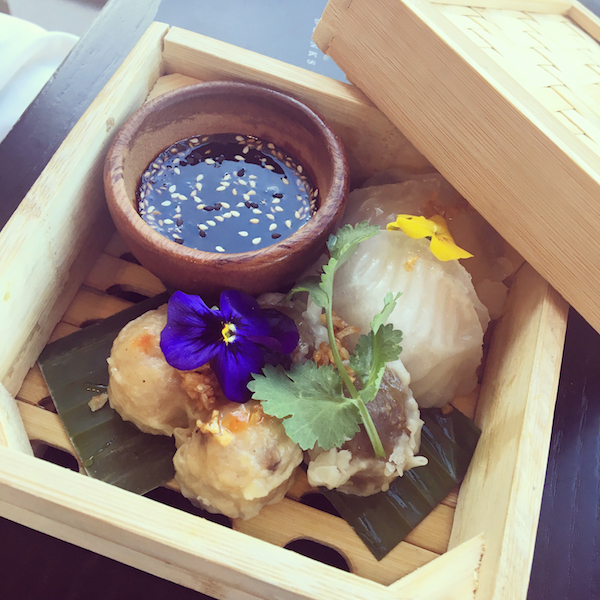 And new this summer – the restaurant chain has also introduced a Thai Reimagined small plate selection, serving up well-balanced flavours synonymous with Thai cuisine. 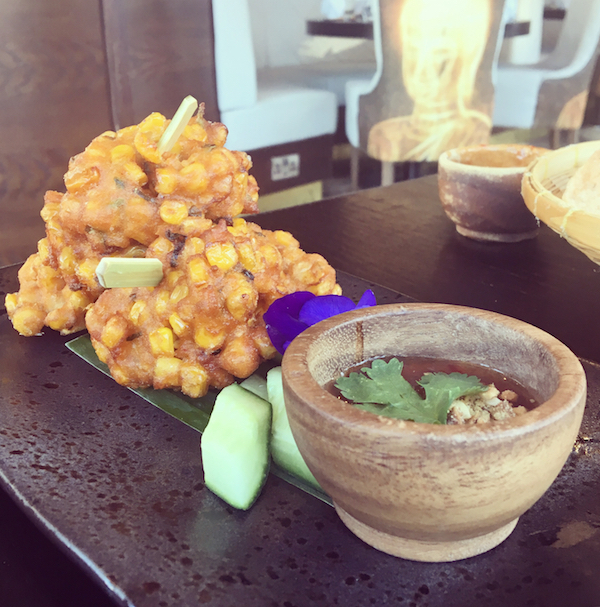 My starter – a mound of perfectly crisp sweetcorn cakes deep-fried with red curry and kaffir lime leaf (£6.95) – was divine. I have a thing for sweetcorn at the moment, so couldn’t resist these. They were chock full of flavour, and I loved how they were presented with little sticks, making it easier to dip them into the accompanying sweet chilli sauce. 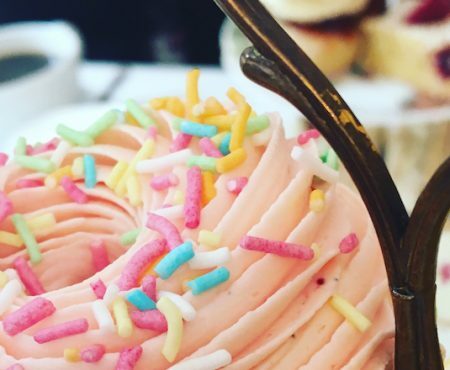 No fork and knife required! Across the table, my friend Jess quite literally lifted the lid on her Yaowarat Dumpling Platter, consisting of pork, prawn and beef dumplings (£8.95), served with fried garlic and sweet soy sauce. The dumplings were dense little creations, beautifully flavoured and she loved the stickiness of the sauce. Top marks for the novel presentation, too. For my main dish, I stuck with a firm favourite – sweet and sour chicken (£12.95) with sticky rice (£3.45). The plate was a colourful array of crispy battered chicken pieces with pomegranate, peppers, pineapple, tomatoes and onions. 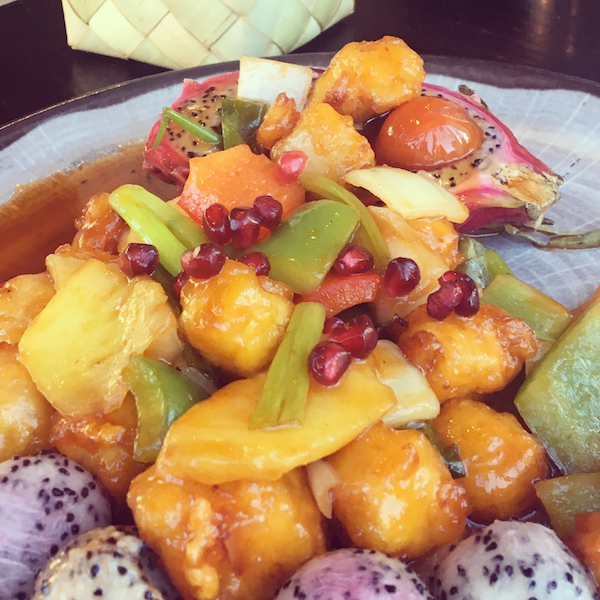 And – something a little different – Thai dragonfruit. I’d never eaten dragonfruit before but was pleasantly surprised – it reminded me of kiwi fruit, with its subtle flavour and soft texture. 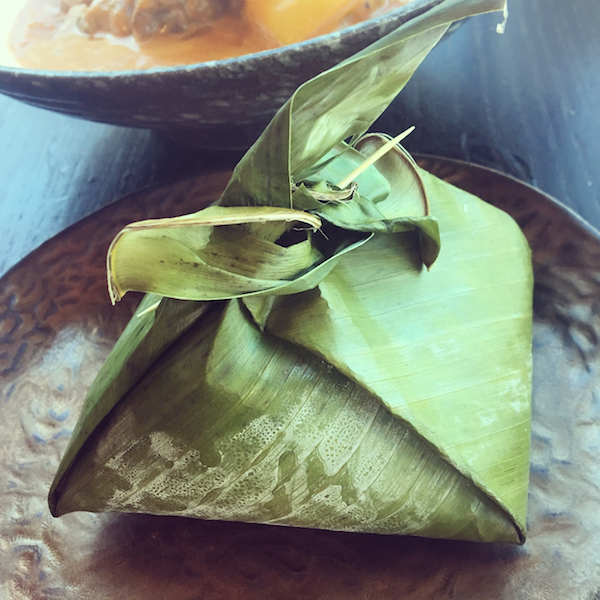 Jess, meanwhile, indulged in the Royal Sous Vide Lamb Massaman Curry (£14.95) with a portion of fragrant coconut rice (£3.95) wrapped in a leaf. And yes, this recipe has been made for and even served to the Thai Royal family. 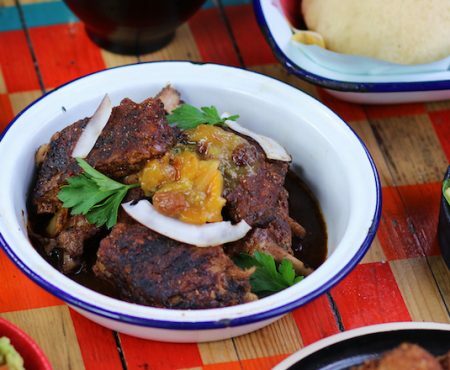 The caramelised slow cooked lamb was spot on, falling apart at the touch of the fork. 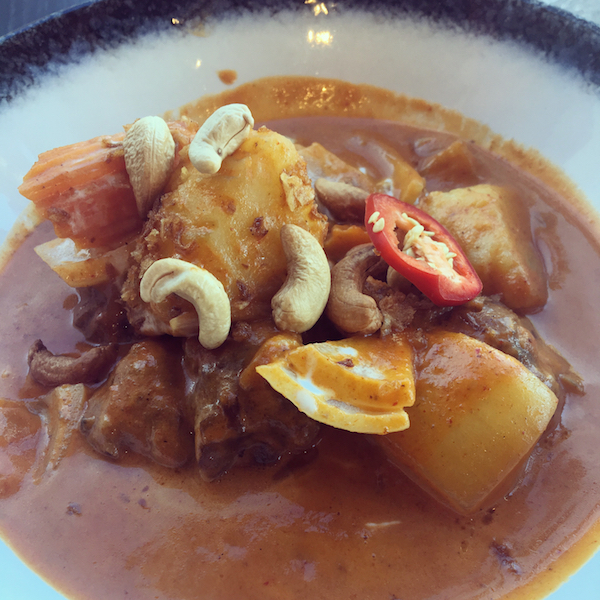 The meat was bathed in a mild and creamy massaman curry sauce, consisting of coconut milk, al dente carrots and potatoes, and crispy shallots and cashew nuts. Jess was very happy with her choice, coming close to polishing off the plate…but not quite! Much to my frustration, we couldn’t even contemplate the dessert selection (usually my favourite part of the meal). Instead, we asked for our leftovers to be boxed up to take away as we struggled to finish the generous portions. Admittedly, the crackers and cocktails may have helped to fill our bellies too! All in all, it was a really enjoyable visit, even if the restaurant itself was lacking in ambience, thanks to everybody else dining outside on the sun drenched terrace. 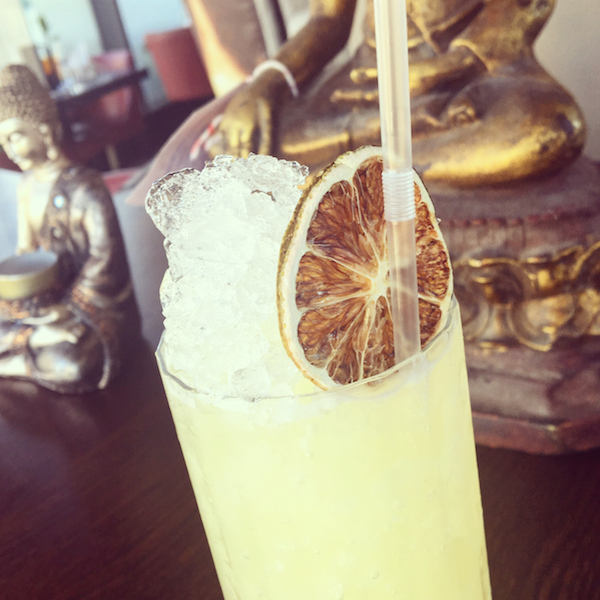 Having said that, if you’re after delicious Thai cuisine and sublime tropical cocktails served up in truly sumptuous surroundings, then Chaophraya deserves a spot on your dining out wish list.